Welcome to my blog! This blog is a place for dialogue about the relationship between Religious Freedom, LGBT Rights, and Reproductive Freedom. 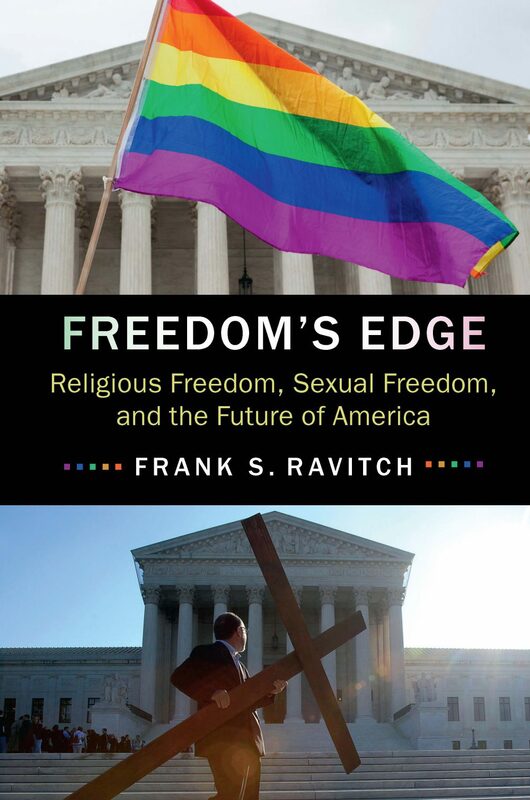 Unlike many people, I do not think religious freedom and sexual freedom must conflict with each other. In many situations both can be protected. In other situations one will prevail, but my hope is that through dialogue and bridge building we can work to foster greater understanding and empathy on both sides of the debate. There are several aspects missing from the court’s analysis of this case. The florist is doing more than making arrangements when a wedding is involved. He or she is using artistic ability to celebrate an event that her faith tells her is immoral. To do so requires her to be intimately involved in the ceremony. In effect, the court is ordering her to be happy for the couple. They are doing so under the threat of closing her business and bankrupting her personally, taking her home and her property in the process. She offered to refer the couple to someone who would gladly provide the service. In effect, the State of Washington is discriminating against devout Christians, telling them they cannot be florists, bakers or photographers of weddings. This kind of precedent opens all kinds of doors to what is, in effect, the persecution of devout Christians by our state, local and federal governments. For example, the state of Iowa is now being sued because its civil rights division ruled that worship services were public accomodiations and thus subject to its SOGI law. The implication was they believed that it was against the law to preach anything that was uncomfortable to the LGBT community. This decisions ought to be overturned on appeal. Thank you for your comment. The situation in Iowa is a bit more complex than that, but I want to be clear that I completely oppose requiring any religious entity to have to modify or change anything in it’s religious practices or in any other context. Therefore, the church should win in Iowa. I do not view for-profit entities as religious entities so there is a profound difference between a church, synagogue, mosque, religious charity and a company like Hobby Lobby. I agree with you wholeheartedly that Baronnelle Stutzman has been placed in a Hobson’s Choice between following her faith and maintaining a central part of her business, but it is a business and she did violate the antidiscrimination law so the key legal question is whether she can be accommodated. If Arlene’s Flowers was a religious entity rather than a public accommodation the answer would be clear, but Arlene’s Flowers is a public accommodation so the case is much harder. The trial court paid short shrift to her religious concerns and perhaps the Washington Supreme Court will analyze those concerns more carefully, but if there is no way to accommodate her without violating the state’s compelling interest in preventing discrimination she will probably lose. I think this is a close call. The Iowa situation is not close since a religious entity is involved and the notion that a church or a church service is a public accommodation whose substance can be regulated by the state, even if somehow supported under a literal reading of the state law on public accommodations, is ridiculous. It violates the doctrine of Church Autonomy, which the United States Supreme Court has been reasonably consistent in favoring.